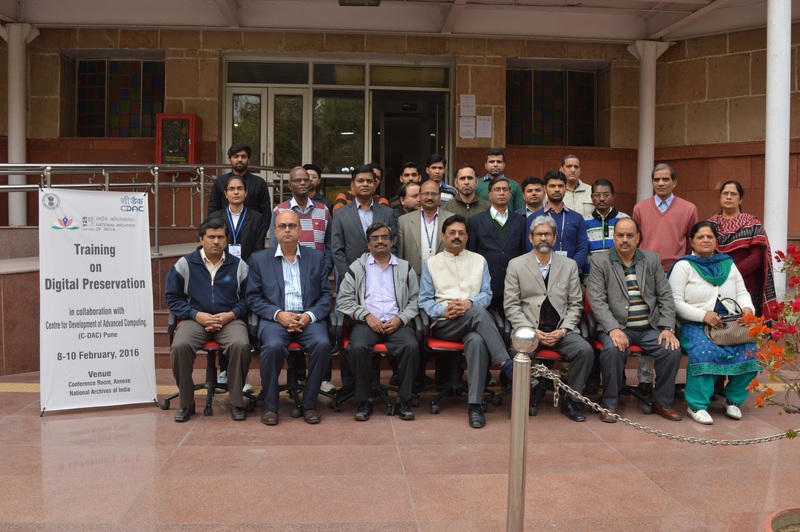 A 3 days training was conducted from the staff of National Archive of India, New Delhi during 8-10 February 2016. It covered hands-on sessions on software tools developed by CoE team namely, DIGITĀLAYA (डिजिटालय) e-RUPANTAR (ई-रूपांतर), Online Records Reporting System (अभिलेख सूचना प्रणाली) and the digital repository portal. 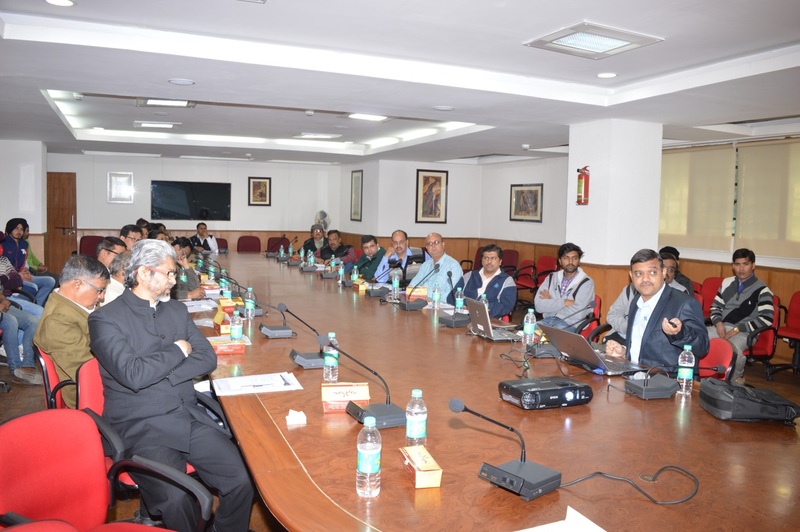 It also introduced various digital preservation standards to the archivists at NAI. Around 35 members including the staff of NAI and Departmental Record Officers (DROs) from different ministries attended the training. The training sessions were conducted for the members from various partner organizations and staff of IGNCA with regard to digital repository development using DIGITALAYA for Nation Cultural Audiovisual Archive project. During this training various processes, features and functionalities of DIGITĀLAYA (डिजिटालय) : e-Library and Archival System and the digital preservation best practices were introduced to the participants. The training was conducted twice on 14 July 2015 and 5th/6th December 2016 for different batches of participants. CoE team conducted a training session at Registration and Stamps Department, Hyderabad on 19 February 2015. 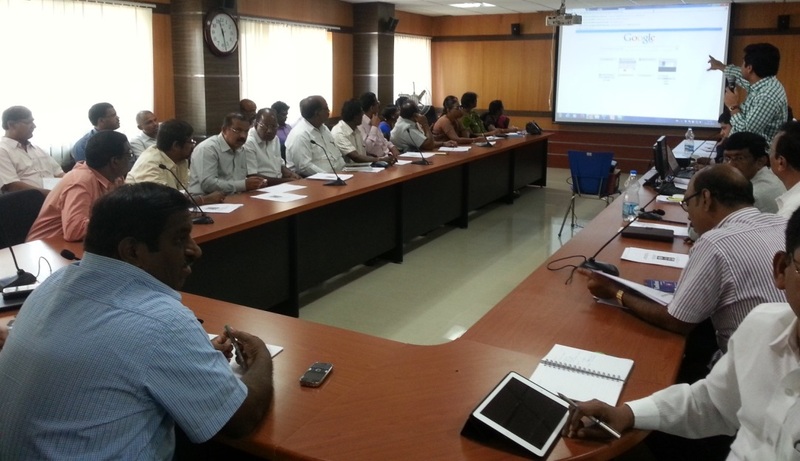 It was attended by 67 Sub-Registrars from 3 Districts of Andhra Pradesh at the Registration and Stamps Department, Hyderabad wherein the process of digital signing / re-authentication of migrated/archived digital records through DIGITĀLAYA (डिजिटालय) system was introduced. 22 operators, consultants, system administrators deployed at NAI and IGNCA were trained to use various digital preservation tools along with the digitization best practices on many occasions.